I haven’t received my Loot Crate for August but I’m sure it’s in the mail. 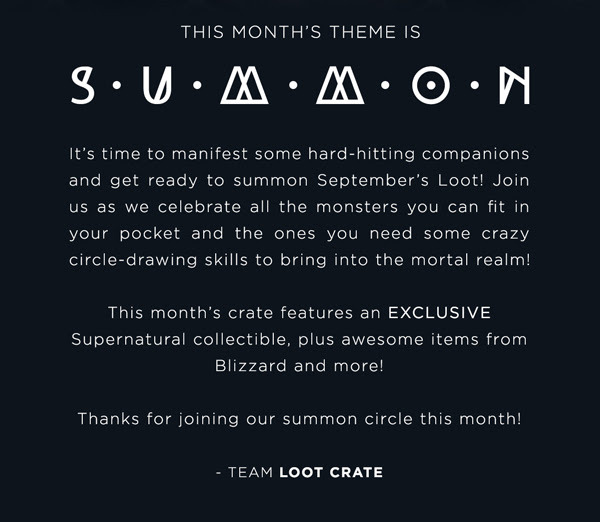 Loot Crate has released the new theme for next month and it’s Summon. From the picture it looks like some Pokemon, Hearthstone and Simpsons items. Not sure what they mean by “Supernatural”. I think it might mean the TV show or it could be a general term. 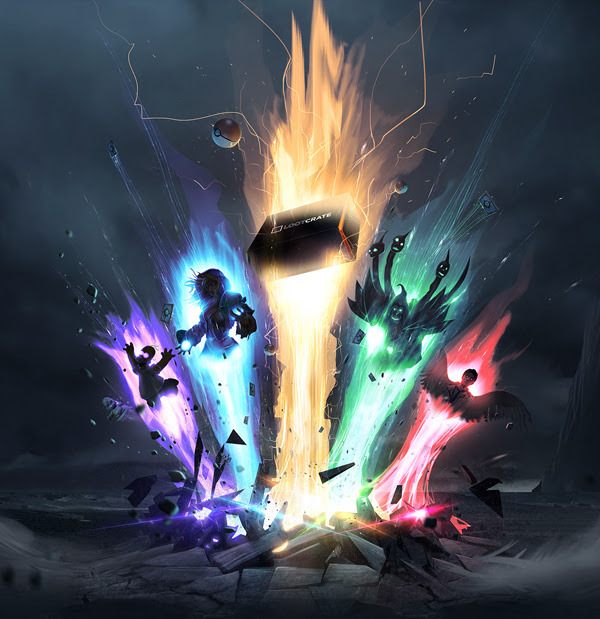 Either way, it looks like an interesting theme and I hope they have some cool stuff this month. Previous Article CrossFit Progress: Overhead Squat PR!